Although New York Comic-con was about a month ago, I’m still prancing about on cloud nine from all of the nerd-gasms and geek-love NYCC had to offer. Every year it gets bigger and better, and this year I couldn’t have been more excited and honored to sit-in on a private viewing of the new Naruto movie, Boruto! 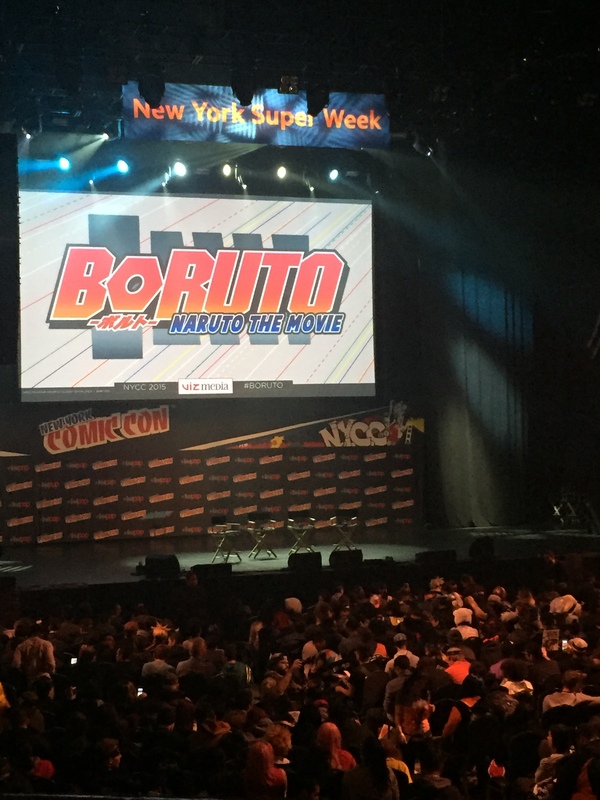 NYCC offered a special pre-screening of the Boruto movie in honor of Naruto’s birthday, which I had no clue (some fan I am) was on October 10th. NYCC attendees were able to watch the movie before it was released nationwide (in limited theaters). For an even more awesome bonus, the movie was introduced by Naruto creator, Masashi Kishimoto along with voice actress of Naruto, Junko Takeuchi. This made the pre-screening very special, especially when they walked out on stage only to be welcomed by joyous screams and a standing ovation. Kishimoto was executive producer for the movie, and he said he enjoyed working on it as it was very different from creating manga chapters like he was used to doing. Kishimoto played an integral roll in the development of the Boruto story and asked fans to pay close attention to the emotional moments of the movie. He said his favorite part is when Boruto confronts his father (Naruto) about his feelings. To Kishimoto, it was a very special moment between father and son. Although Kishimoto recently ended the Naruto manga series and has since been working on a new manga project, you can definitely sense that there is a strong connection to his love of the Naruto characters. The character development in this movie is phenomenal, which is most likely the reason why it is so gosh-darn entertaining. Here’s hoping he decides to make Boruto into an anime series, one we can enjoy from week to week. As we meet Boruto, we’re also introduced to his ninja team, Team Konohamaru, which consists of himself, Sarada, and Mitsuki. Sarada is the daughter of Sasuke and Sakura, who is a pleasant mix of both parents. She is strong like her mother and incredibly intelligent like her father. Mitsuki is a question mark. No one knows who his parents are, not even his team. He reveals who they are at the end of the movie, but to me, it’s all still suspect…hmm.. In the movie, you follow Team Konohamaru through the Chunin Exams and learn the tasks that they have to go through in order to excel together. While that’s going on, there is also a scary villain attempting to attack the village (just another typical day in Konoha). If you can’t tell, I don’t want to give too much away. Spoilers aren’t really my thing. But this movie is awesome. I laughed. I cried. I screamed. I smiled. (no joke) And when it was all over, I wished there was more. A shout-out to the amazing Naruto fans in the audience with me who love this anime just as much as I do. It really felt like I was watching the movie with family. If you haven’t seen the movie, please do. You’ll definitely enjoy it. The good thing too is that if you’re not caught up in the manga or anime, the movie doesn’t give anything away about what happened in the ninja world war. There are a few mentions but nothing to really spoil it for you…that was a plus for me since I STILL have yet to finish. I just can’t let go. Not yet. Check your local movie theater for viewing times. It isn’t playing in my state, but hopefully it is in yours! I just got lucky. 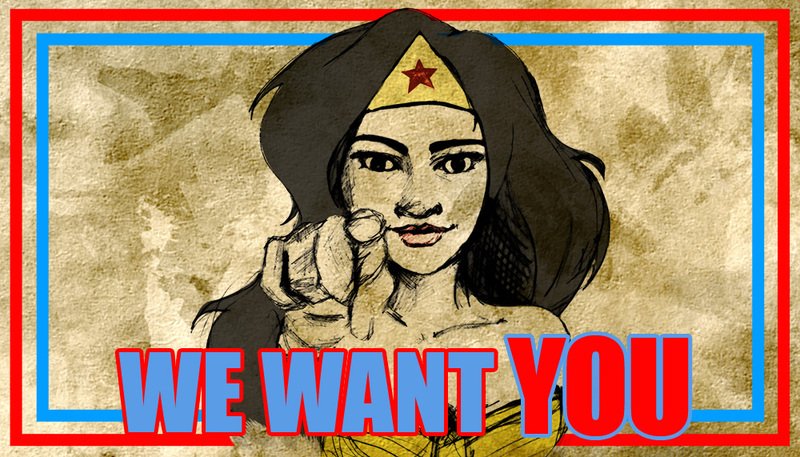 Prev SyFy’s 12 Monkeys: Who are the 12?